Did you know there are now 4 ways to join the Journey?? We have starter kits for the stamper who has oodles and doesn't need much all the way to the one who wants to go whole hog (that was me). Great options for each kit to customize for your wants. Check out more detailed info on my FSJ Specials page. Then click on the FSJ Logo in the sidebar and head over to my website to join! 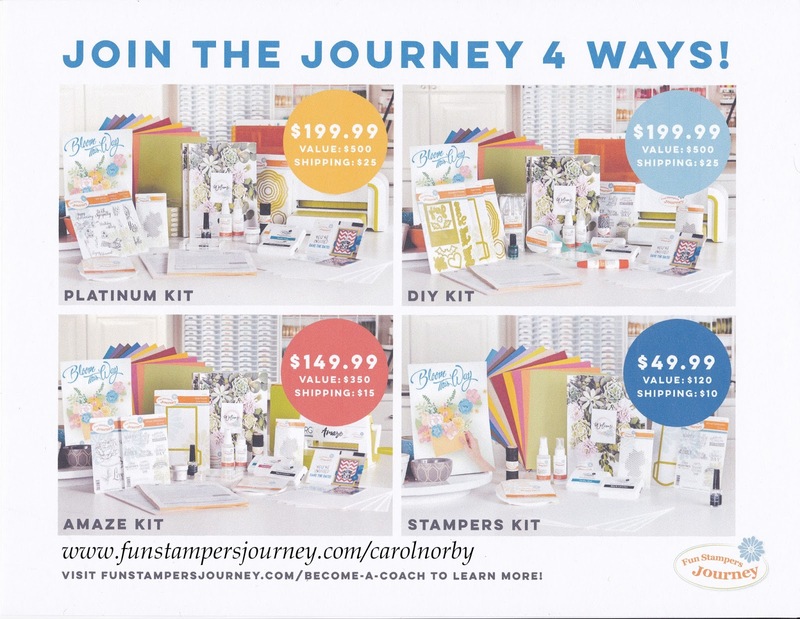 Become a part of the Journey and my team, the Fabulous Bloomin Inkers! And FSJ added MORE Golden Unicorns to their $25 Mystery Boxes! Check out the flyer! But now there are 10 Unicorns and I know of 1 already found! 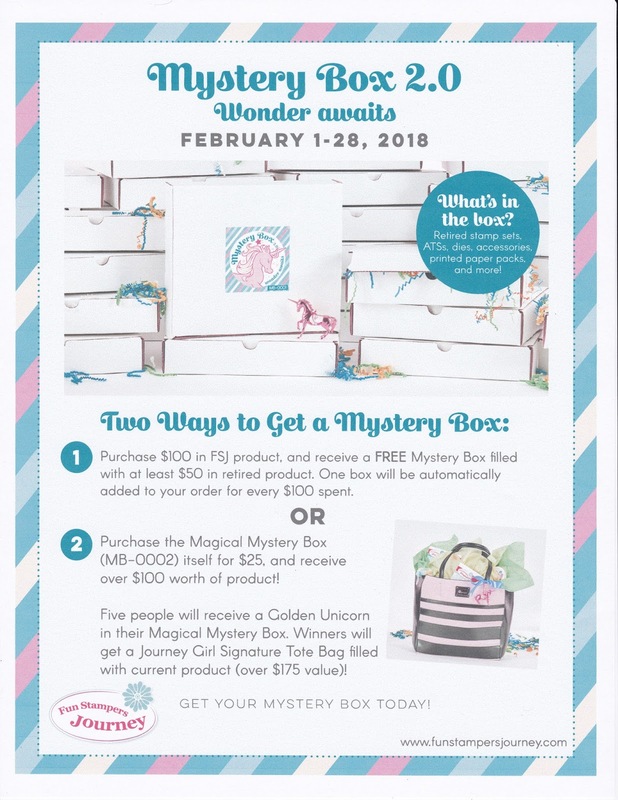 Supplies are limited so don't delay!